Is grammar a dirty word to you? It shouldn’t be. It may sometimes seem hard to grasp, but it can be easier than you think. It can even be . . . fun. I thoroughly enjoyed writing these two books. 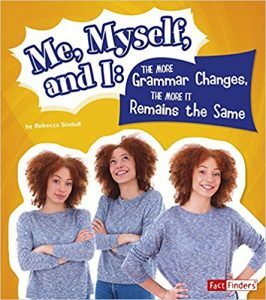 They are part of a series called Why Do We Say That?, and they are written for kids who want to step up their writing skills–or just find answers to some puzzling questions about the English language and how we use it. 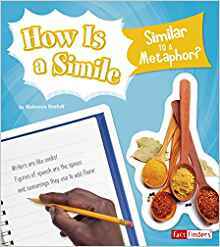 How Is a Simile Similar to a Metaphor? zooms in on figures of speech, powerful ingredients that can spice up your writing–or go horribly wrong if you lose control of them. Both books, and the rest of the series, will be available in August from Capstone.